Posted on April 4, 2019 by Lisa B. 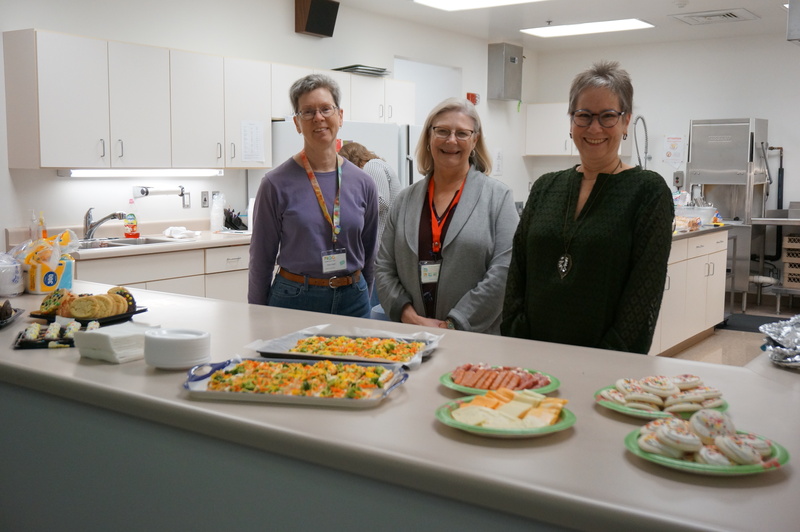 The March meeting of the Bloomington-Normal Modern Quilt Guild was led by our co-president, Kathy M. and was called to order at 6:00 p.m. at Christ Lutheran Church in Normal. Treats were provided by Karen G., Anita T. and Cathie H. Thank you for the delicious treats! Our new social time arrangement is for members to bring their own drink, minimizing the need for beverages and plastic cups to be provided by monthly snack providers. During our social time there was a slide show of the many quilts displayed in Nashville at QuiltCon 2019. We welcomed 2 new members for a total of 43 members in attendance and two guests. Posted on March 21, 2019 by Lisa B. Well, it looks as though we are on the downhill side of winter, at least for the next week. Come on SPRING!! At our March 26th meeting we will hear about 2019 Quilt Con and see pictures of all the wonderful quilts. Speaking of quilts, we will be raffling off 6 complimentary one day passes to the International Quilt Festival Chicago. The Festival is March 28-30 in Schaumburg. There is no cost to enter the raffle, however you need to attend the March meeting to enter your name. Sign-up for the Mini Quilt Challenge using the 2019 Kona Color of the Year “Splash” will start. We are asking for $1 Donation to participate. Completed quilts will be due at our July Meeting and will hang at Kelly’s Bakery the month of August. Posted on March 14, 2019 by Lisa B. 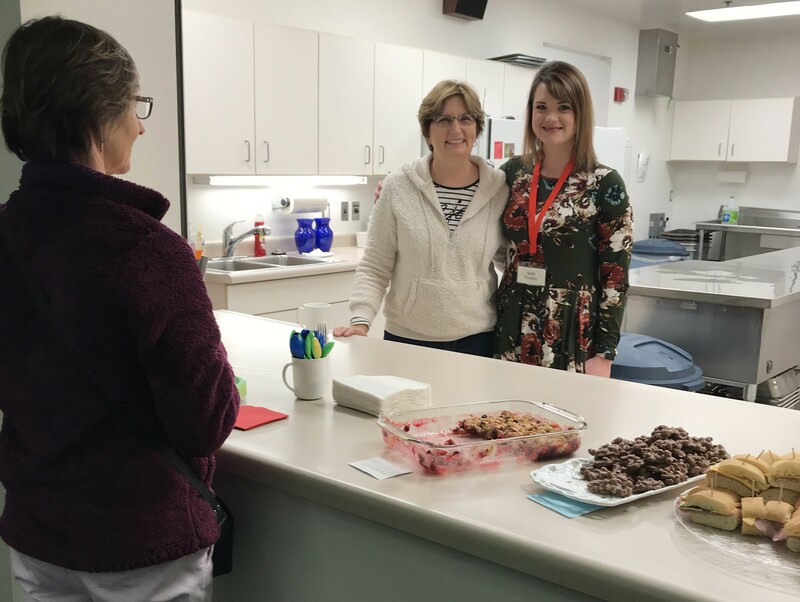 The February meeting of the Bloomington-Normal Modern Quilt Guild was led by our co-president, Stormy H, and was called to order at 6:00 p.m. at Christ Lutheran Church in Normal. Treats were provided by Kathy M., Nancy H, Brenda D. and Cindy R. Thank you for the delicious treats! Our new social time arrangement is for members to bring their own drink, minimizing the need for beverages and plastic cups to be provided by monthly snack providers. We welcomed 2 new members for a total of 39 members in attendance and one guest. Co-President Stormy shared information about our national dues to be part of the National Modern Guild for 2019 was $1200. Over 50% of our local dues covers your membership to the National Guild. Posted on February 13, 2019 by Lisa B. Just a brief reminder of the upcoming meeting to be held on Tuesday Feb. 26, 2019 at the Christ Lutheran Church located at 311 N. Hershey Rd. We have a meet and great at 5:30 P.M. and the meeting will begin at 6:00P.M. The meeting will be what was originally planned for the Jan meeting that was cancelled due to pitifully bad weather! In case you have forgotten, please bring your first or earliest quilt and also your latest quilt to show how you have grown over the years in your quilting journey. This should be a fun evening of reminiscing. Don’t forget your raffle blocks. We will also have a brief discussion on quilt Con and those members that will be going are trying to work out how we can share the experience with those unable to attend. We hope to see you there!! Posted on January 15, 2019 by Lisa B.
We’ve made it through the holiday’s, only to experience a whopper of a snow storm. I’m looking forward to our January Quilting Journeys member trunk show. Bring your first (or one of your early quilts) and your most recent one. We will share our journey with the goal of inspiring each other to stretch our wings and try new techniques or perhaps just improve our current ones. Bring your dollars for the fabric raffle. Remember there was no Block Lotto due for January, but I’m sure Sue will have a great block to introduce that will be due in February. Our Modern Round Robin will start, so if you signed up, please bring your center to exchange. Something new and exciting for our guild! Posted on January 12, 2019 by Lisa B. 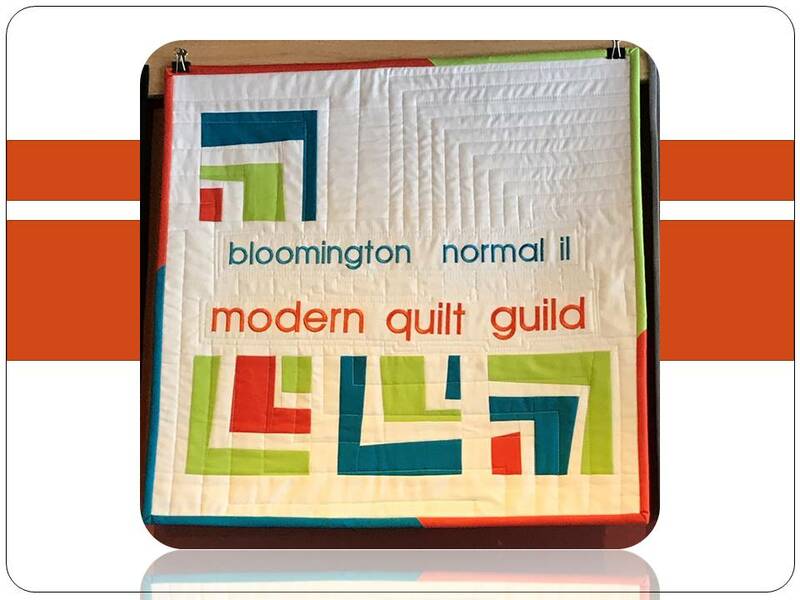 The November meeting of the Bloomington-Normal Modern Quilt Guild was led by our co-president, Kathy M., and was called to order at 6:00 p.m. at Christ Lutheran Church in Normal. Treats were provided by Beth F., Jan C. and Lori L. Thank you for the delicious treats! Our new social time arrangement is for members to bring their own drink, minimizing the need for beverages and plastic cups to be provided by monthly snack providers. We welcomed 42 members, 2 guests and 2 new members for a total of 44 members in attendance. There is a new password to the guild blog’s members only page. There was an email sent to all guild members with the new password. IF you did not receive an email, please contact one of the executive board members. Under the Members section there is the 2017/18 final expenses and the 2018/19 budget information.